The Easter raffle will take place tomorrow – as well as the Easter egg hampers we have a few extra special prizes including a voucher for Smyth’s toys –so make sure you get your tickets (€5) in the morning if you have not already purchased! School will close at 12 midday for the Easter vacation tomorrow. We are delighted to be able to announce that Dublin City Council has included a sum of €24,000 in its 2015 budget to undertake improvement works at Mountpleasant Square Park. This is split between monies from Parks Services and the South East Area Office, Dublin City Council. This project aims to conserve and upgrade the public park at Mountpleasant Square to improve it as an amenity for the whole community. Even better we expect work to start in May! RMDS are also going to put some funding towards the project and together with the local residents association and the Tennis Club we look forward to working together to make a better park for our community. Lost property – please check tomorrow at the gate. All items left here tomorrow will be donated to charity. 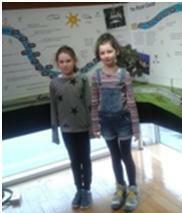 The Green school committee represented the school on two occasions recently – Last Friday, Evie and Heather along with Ms Halpin attended an event in the Waterways visitor centre on our behalf, where they learnt about the workings of the canals. 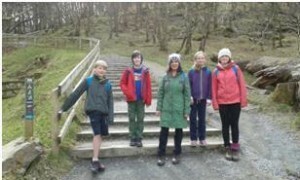 Yesterday, the rang 5 and rang 6 members went on a Water Walk in Glendalough , an event in solidarity with many children in the world who spend a large amount of time walking to get water for their families. We hope to have a Water Action Day here in RMDS in the Summer term using some of the ideas the committee learned about at these two events. Over 1.5 billion people do not have access to clean, safe water. 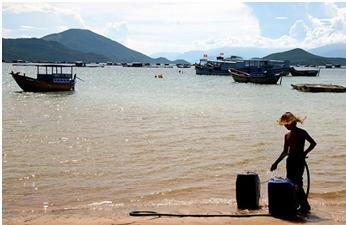 Almost 4 million people die each year from water related diseases. At any one time, more than half the world’s poor are ill due to inadequate sanitation, water or hygiene. It takes over 11,000 litres of water to produce a pound of coffee. How lucky we are to have easy access to safe water and to have plenty of rain! Let’s appreciate it more!